Carleton Chinner learned to tell stories on a remote farm in South Africa. There was nothing better to the five-year-old Carleton than joining the barefoot village children on the earthen floor of a mud hut. Old Xhosa women would spin us marvellous tales of river serpents, brave warriors, and white-painted, clay-clad women who returned from the dead. He absorbed the craft of stories from these Xhosa ladies; the pull of suspense, the impact of vivid imagery, and the all-important need to suspend disbelief. There was no book learning, but learning nonetheless, in the deep organic sense of stories told in voice and rhythm. Learning in the way of things told and remembered. Chinner writes near-future space opera. 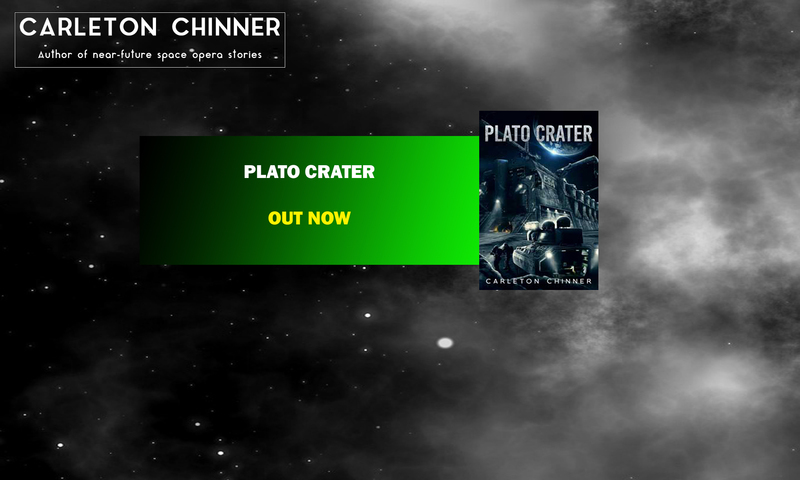 He is the author of the Cities of the Moon series—The Hills of Mare Imbrium, and Plato Crater. He also reviews new releases of predominantly science fiction for the Aussie Speculative Fiction Review where he enjoys reading stories that explore what science means to humanity. Carleton is known to enjoy solid science and will grumble at stories where fires burn in a vacuum or scuba divers spend hours underwater without needing decompression. You can visit Carleton’s News page for news, forthcoming appearances, or the latest progress report.